The central core of the ring is adorned with dazzling white AD stones placed during a circular type round the giant red stone with a inexperienced border. This designer ring features exquisite artwork that adorns the gold plated brass metal holding on top which are placed the beautiful white pearls. 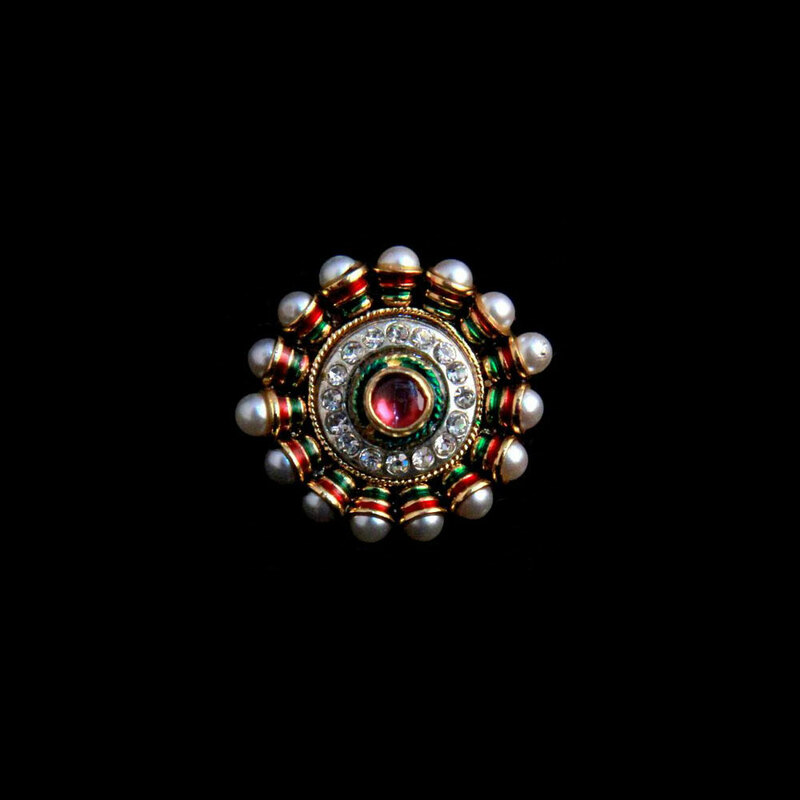 The central Read More..core of the ring is studded with dazzling white AD stones placed in a circular form around the large red stone with a green border. Show Less..